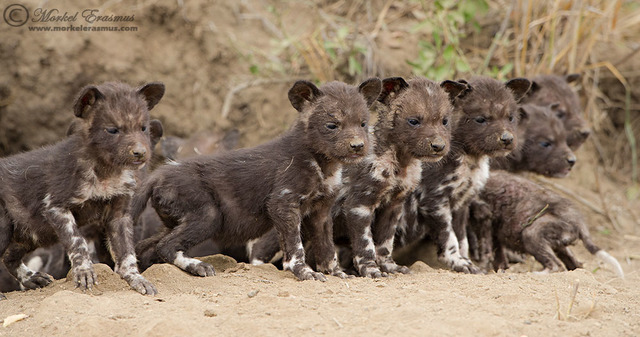 Cats may have won the internet's heart, but these wild dog puppies, seen here for the first time, are certainly putting up a fight for the spotlight! Wildlife photographer Morkel Erasmus was lucky enough to visit South Africa's Kruger National Park in time to see the litter emerge from the den for the first time. 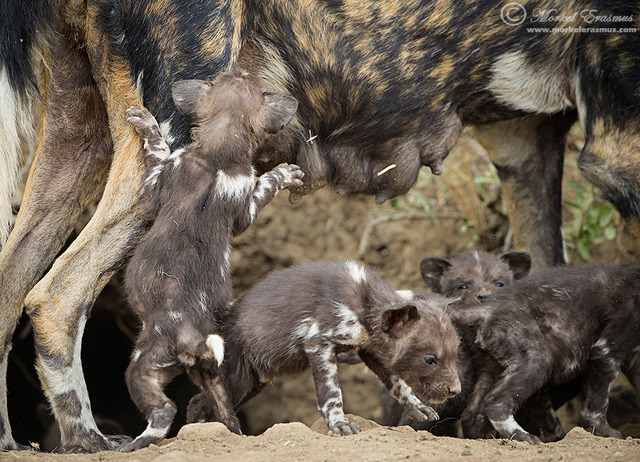 There are only an estimated 450 to 500 wild dogs in the park, so seeing a pack is lucky enough. An event like this, on the other hand, is a once-in-a-lifetime encounter. "It was awesome," Erasmus recalls. "And very special." 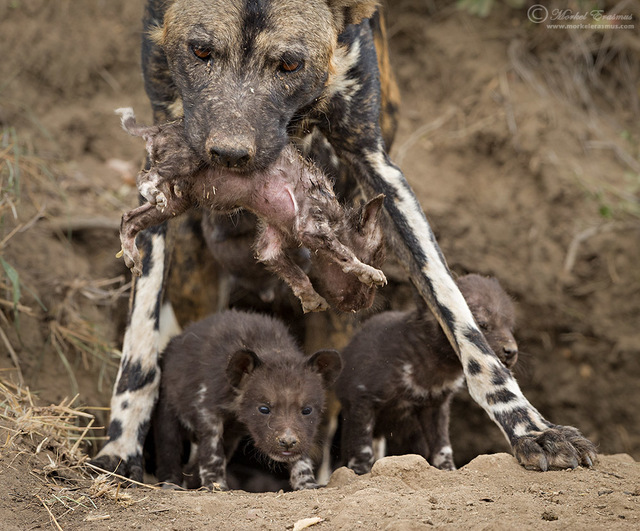 The entire pack helps in the rearing of a litter, and as you can see in the video, these tiny youngsters are already eating meat – freshly regurgitated by the adults. Food is distributed to the youngest pack members first, and the alpha pair will occasionally sacrifice their meals to make sure everyone is fed. The dogs will typically settle down while the pups are growing, venturing out only to hunt. 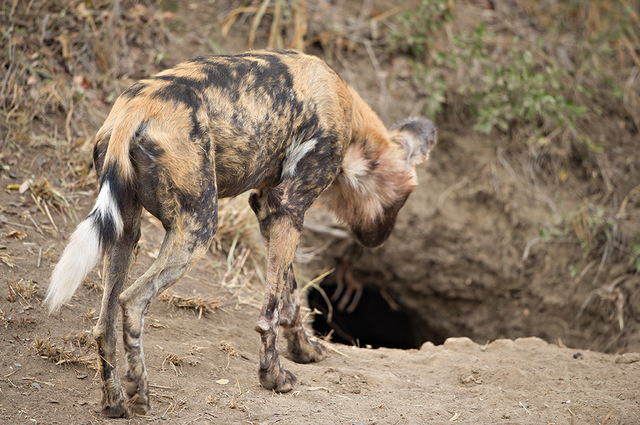 Interestingly, the mother will sometimes join the hunting party, opting to leave her litter in the care of babysitters (often experienced males) – which could explain why the other dogs are taking so much interest in the pups. It's important for the pack to bond early! 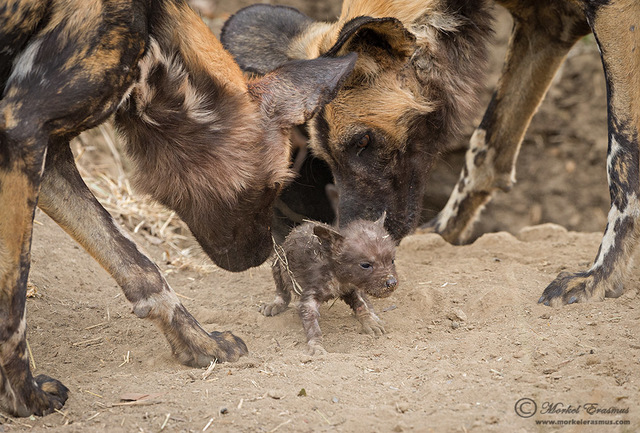 Some viewers have expressed concern that one of the pups in the video appears to receive some rough treatment from the pack, but wild dog specialist Dr Harriet Davies-Mostert assures us all is well. "[They're] just showing a lot of interest in it," she says. "It is possible that the older dogs are yearlings, which can sometimes be a little rough with the little pups. 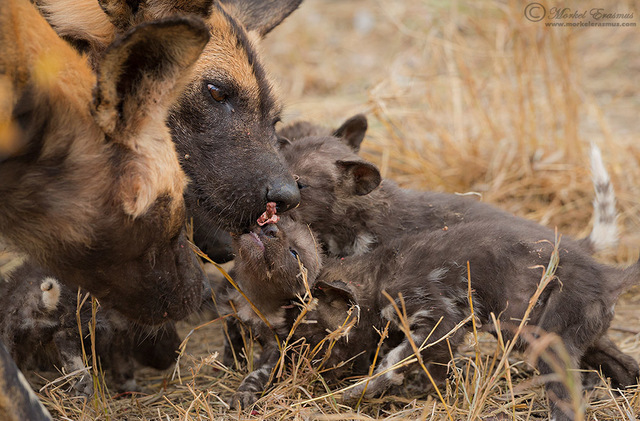 However, later on in the clip one can see the same pup walking back into the den – no worse for wear – so all is good! For Erasmus, the amazing encounter was over all too soon. "Eventually the alpha of the pack just called and sort of forced the pups back into the den," he told Latest Sightings. "And it was all over." 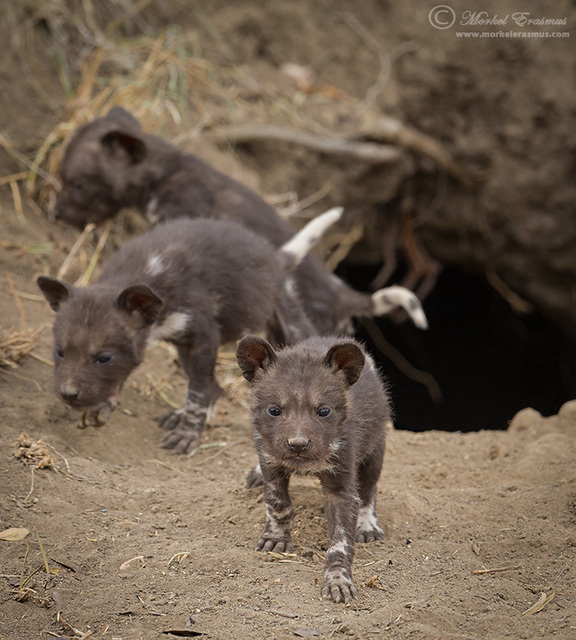 Though they are small and few, this litter spells hope for the future of Africa's painted dogs. With an estimated 7,000 of the endangered carnivores left in the wild, every new generation is precious. A new study carried out in Botswana's Okavango Delta suggests wild dogs use sneezing as a kind of voting system when making group decisions.